Skandia Elevator products give your business the best foundation for efficient day-to-day operations with no disruptions. Time is money. This holds true for agriculture just as it does for industry. Stoppages cause not only financial losses but also unnecessary stress. But you can avoid stoppages by investing in high quality and smart design. 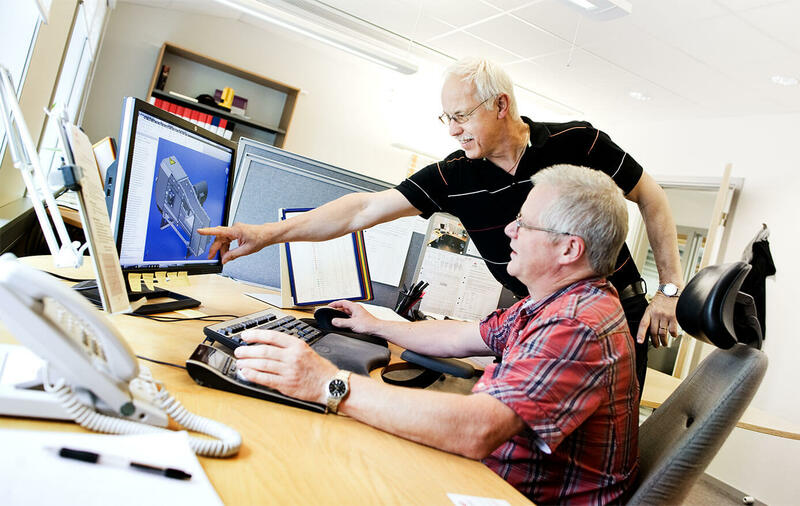 At Skandia Elevator, we design systems that are made for hard, intensive use. Our conveyors, elevators and fittings are able to withstand heavy loads from day one and for a long, long time to come. Our products are not the cheapest to purchase, but they are the most affordable as our optimised design and carefully selected materials make our products better and extend their service lives. The outstanding dependability of our systems is what has made us a leader in the industry. Precision permeates everything we do. Skandia Elevator is ISO 9001 certified, which means that quality assurance is guaranteed at all stages. And this is something you will notice. At this moment, conveyors and elevators from Skandia Elevator are in use all over the world. Some machines have been in use for more than 30 years and are still in good condition. This is the result of our materials selection and design. Galvanised steel can withstand all weathers, while overlapping seams and sealed joints keep wetness and dirt out. A complete system of machines from Skandia Elevator guarantees functionality from the very first day and throughout the entire service life of the facility. As well as offering financial benefits, this long service life is also positive for the environment. Less material, fewer resources and less energy are used when every machine lasts longer. So a system from us is a sustainable investment. Requirements always vary. The things you need are dependent on your business area and the size of your production. Skandia Elevator has three product lines: one for smaller facilities, one for large facilities, and one for facilities which operate daily. These systems can be integrated seamlessly with one another and expanded as your requirements change. Every product line has a large number of different machines for vertical, horizontal, inclined and curved transport. This enables the design to be adapted to the specific requirements of your facility. As the Skandia Elevator range of products is made up of standardised machines in a flexible, modular system, all customisations are cost-effective. In other words, you will never have to pay for unnecessary functions – simply buy what you really need. There is a major risk of accidentally mixing crops, but thanks to our smart design we have almost eliminated this risk completely. Of course, there is nothing we can do about the human factor, but thanks to our technology the risk is reduced considerably. Another important aspect is the personal safety of yourself and your employees. Our systems are built to avoid hazardous operations where people may be injured or get trapped. Each and every function and detail in our systems and software is designed to make users’ lives easier. With innovative solutions, everything can be performed easily and efficiently. One example of the user-friendliness is the Grain Cloud app. It doesn’t just keep track of the Skandia Elevator conveying systems, but all units and machines in the facility. If a boiler dries out, an alert will be sent immediately so that no important time is lost. Other examples are the self-regulating inlet that does not feed more than the specified capacity, regardless of crop. It takes place without adjustments and contributes to the unique operational reliability, while at the same time reducing maintenance and service. Working with us is simple and straightforward. We are quick to answer questions and offer consistently outstanding delivery reliability. 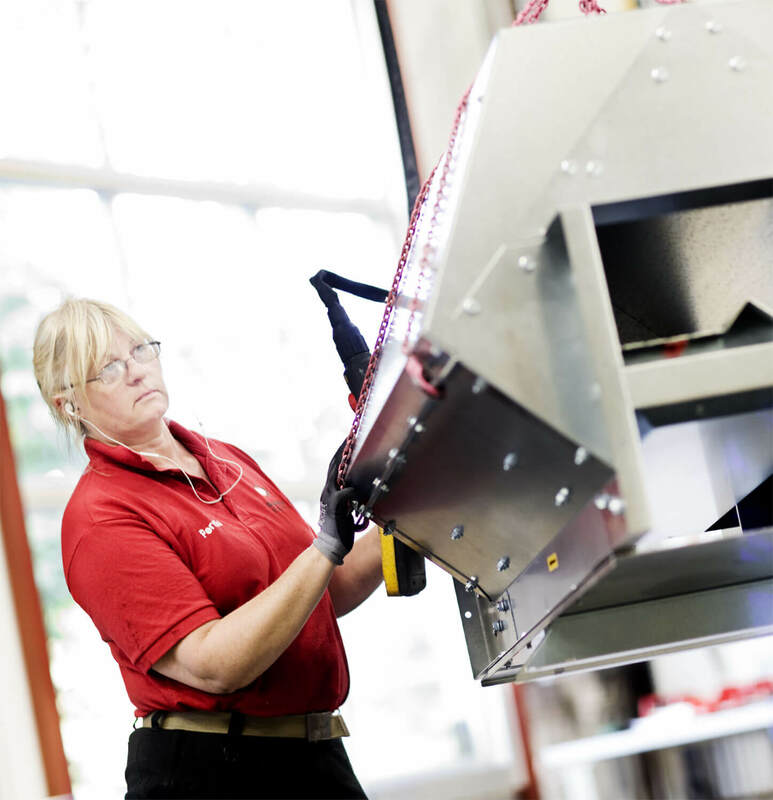 Our delivery times are short as we work with an optimised assembly flow and stock production, i.e. efficient production control. All our products are well packaged and labelled clearly when delivered so as to facilitate handling. All systems also come with clear and explanatory assembly instructions so that the assembly process itself is quick and easy. The various components all fit perfectly together, so you can avoid hassle. 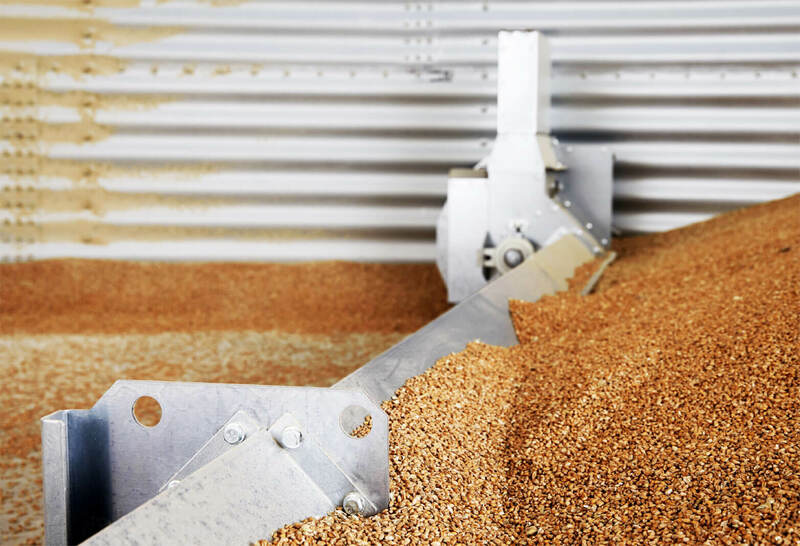 We have a large stock of spare parts, so if you need us right in the middle of your hectic harvesting period or production phase, we will always deliver to you. Our company has existed for a long time, more than a century. This experience in the industry, unique in its length, has given us unsurpassed know-how. At our plant, we have a world-class machine fleet for highly automated, top-quality punching, edging, assembly and joining. 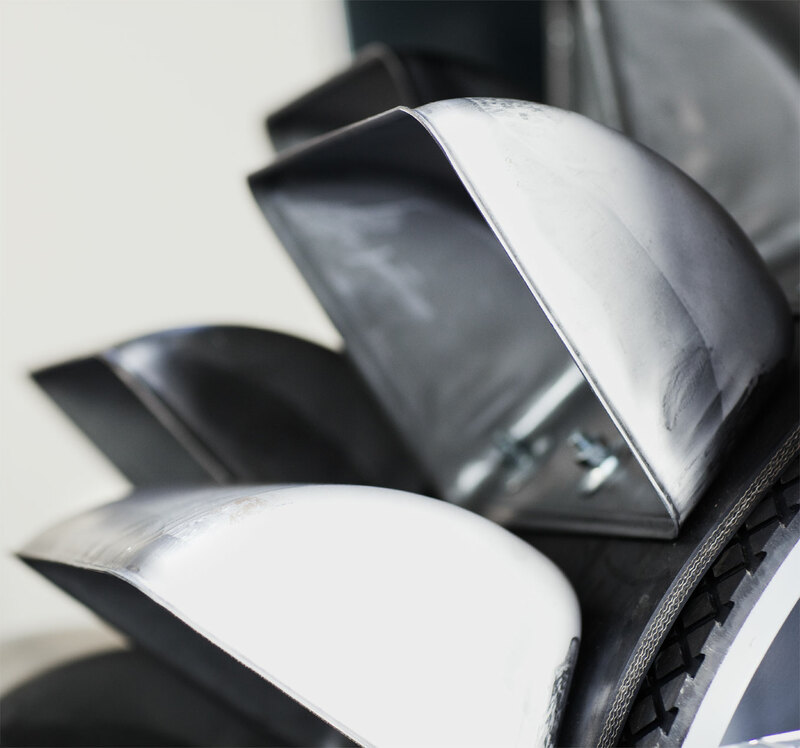 We manufacture more than 2000 machines a year and receive complaints about fewer than two per cent. Our outstanding level of quality can be explained primarily by the way in which we ourselves approach our work. We are never happy until everything is perfect and our customers have flawless systems. You can always rely on us.